Jack Taylor, played by Game of Thrones and Downton Abbey's Iain Glen. JACK TAYLOR, the hit TV series made in Galway and inspired by the novels of award winning Galway author Ken Bruen, begins its new season on the new Irish TV channel be3 - formerly UTV Ireland - this Saturday at 9pm. 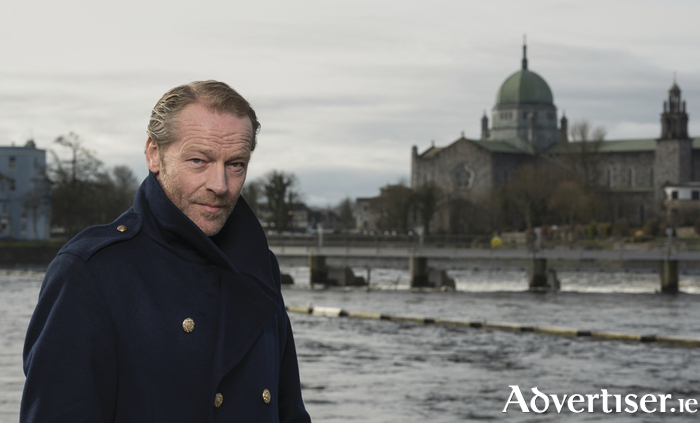 Jack Taylor - played by Game of Thrones and Downton Abbey's Iain Glen - is the drug taking, binge drinking, private investigator, who takes on those cases the Gardaí will not touch, no matter how hopeless. Behind his short-tempered nature, however, hides the tender heart of a true humanitarian. The new series comprises three 90 minute films - screening January 14, 21, and 28, with repeats at midnight - which were shot on location in Galway city and Connemara. The series has developed a large international fan base, airing in Britain, Australia, New Zealand, Germany, USA, and Canada, and previous series have won critical acclaim. The series, which will also be made available on Netflix, was produced by Galway studios Telegael, in association with ZDF Enterprises (Germany ) and Content Media International (USA ). Starring alongside Iain Glen are leading detective garda Kate Noonan (Siobhán O’Kelly, who has also appeared on Klondike ) and Darragh Noonan (Jack Monaghan, who has appeared on Charlie Brooker's Black Mirror ). Jack Taylor is one of a number of feature films and television series produced at Telegael’s Galway-based studios. Recent productions include the animated feature film Norm of the North, which has generated in excess of $30 million at the international box office and whose cast includes Irish actors Colm Meaney and Michael McElhatton. Telegael has also recently completed production of the award-winning feature film Out of Innocence, which is inspired by the events surrounding the Kerry babies tribunal. The film is due for release in 2017.